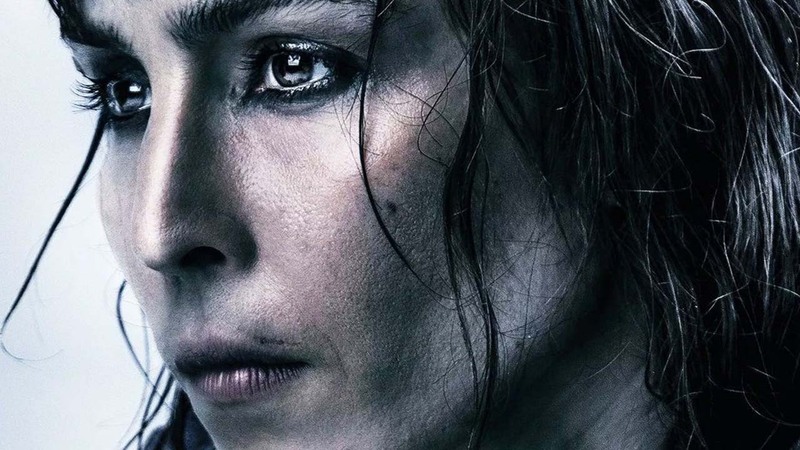 Noomi Rapace was seemingly set for big things after The Girl With the Dragon Tattoo films, but was shortly thereafter cruelly written out of her starring role in Ridley Scott’s Alien prequels. I can only imagine how it must hurt for an actor to “appear” in a sequel only as a corpse, as she did in Alien: Covenant. Add to that the additional betrayal of the franchise’s thematic dependence on female protagonists, replacing the iconic Ripley and Shaw with Michael Fasbender’s mopey and boring male-presenting robots. She’s since been racking up quite the filmography with Netflix exclusive movies. She was especially great in seven different roles in What Happened to Monday, but she was also unfortunately in the inexplicably awful Bright (which was pretty racist for a movie that was supposed to be about racism). Considering her action prowess, I wonder if she was considered for the Tomb Raider reboot that went to Alicia Vikander? Anyway, rooting for you, Noomi. But Vicky Jewson’s Close doesn’t seem to be the way forward. For starters, how do you pronounce it? Since I watched this in the Netflix app, I actually forgot what it was called, and more than once mistook “Close” for a call-to-action to close the Netflix app. Since the action thriller genre depends more on tight plotting than anything else, Close is oddly structured and non-dramatic. A good chunk of the story is spent escaping a dangerous place, only for the characters to later decide to return, which is so easy that they literally just drive up to it. A key plot twist is fleetingly communicated through shouted dialogue during a shootout, denying what should have been the most significant realization (spoiler: Indira Varma’s villain was not really the villain, and instead just some generic evil corporation that barely mentioned prior). Two sequences are set in a luxe fortress-like safehouse in exotic Morocco, but the space is not taken advantage of in the way that, say, David Fincher mapped out the claustrophobic space of Panic Room.